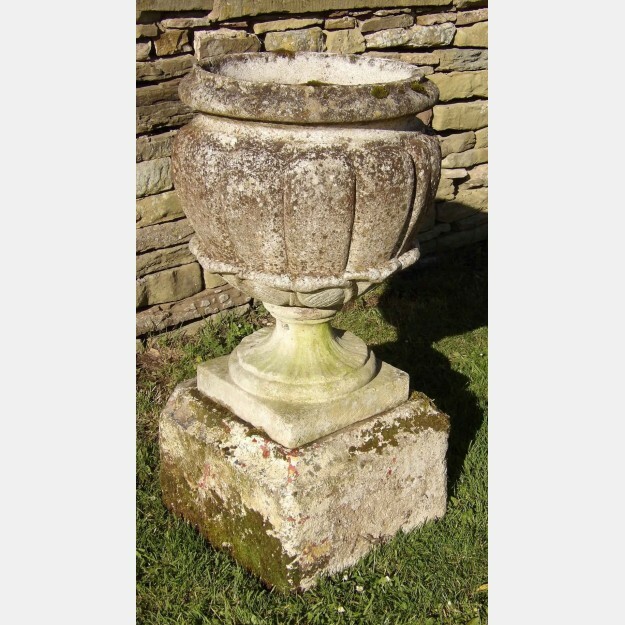 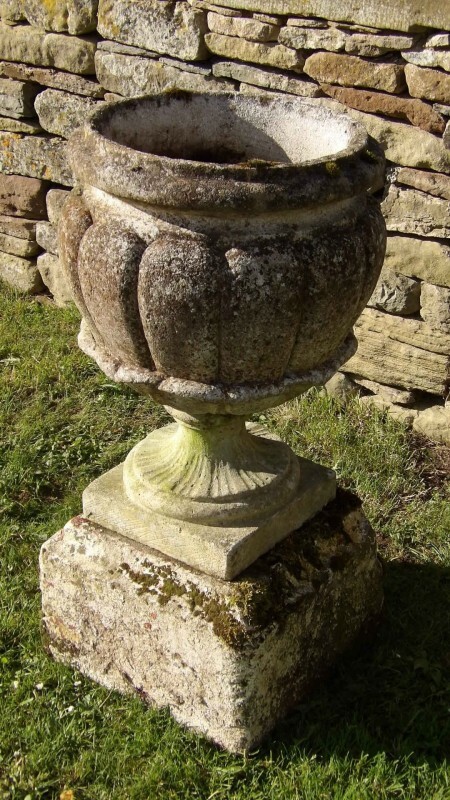 A vintage garden urn, the lobed and leaf cast urn on an associated square stone base. 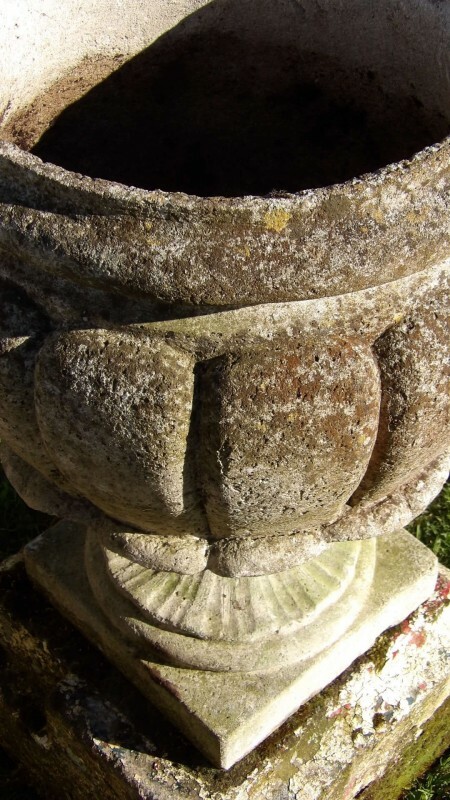 This urn is attractively weathered and has good internal depth for planting. 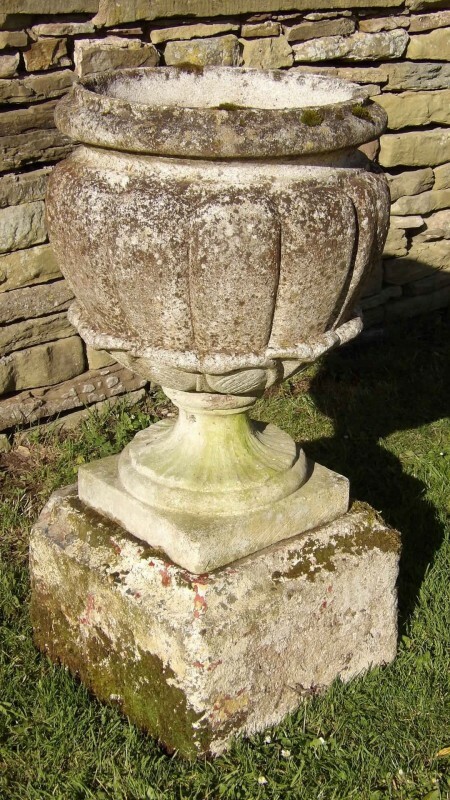 Dimensions (W x D x H): 15" x 15" x 32"